Citi Bank Routing Number is a 9 digit number required for initiating wire transfers, direct deposits forms, electronics transactions etc. These transactions are done through ACH network. These numbers are sometimes referred as ABA routing numbers, routing transit numbers (RTNs) and ACH Routing Numbers etc. 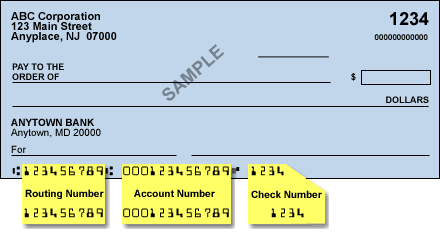 The best way to find the routing number for your bank branch is to look at the lower left corner of the check or deposit slip issued by Citi Bank. You can also find out the ABA routing number using the table below based on the region where your account was initially opened. Note: If you'll be receiving an incoming international wire, the sender must always include the ABA number for New York (021000089) along with the ABA number for the branch where you opened your account. If you're not sure where your Citibank account was opened, or if the marketplace does not appear in this table, please call 1-800-374-9700 (CitiBank Customer Support) for further assistance.